- "Rift Fest" is on sale! - [20%OFF] Set of pair Wings won, limited to the C Color! "Soaring Pair Wings C Color" on sale! 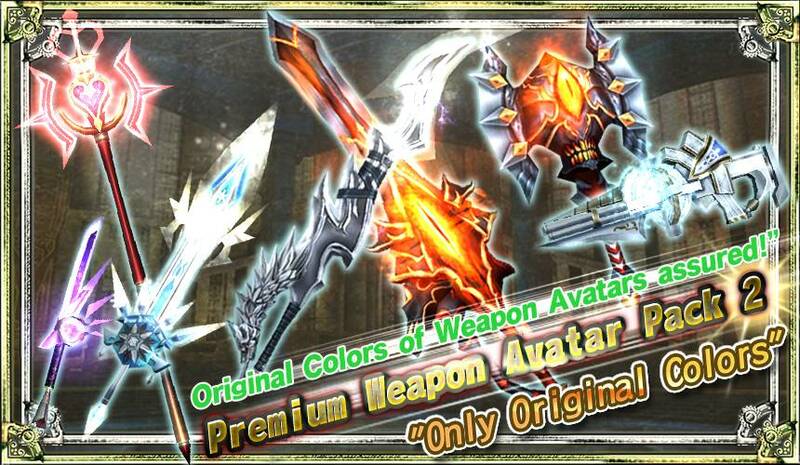 - "Original Colors""A Colors""B Colors""C Colors"Weapon Avatars 2nd are now available! "Rift Fest" is on sale! 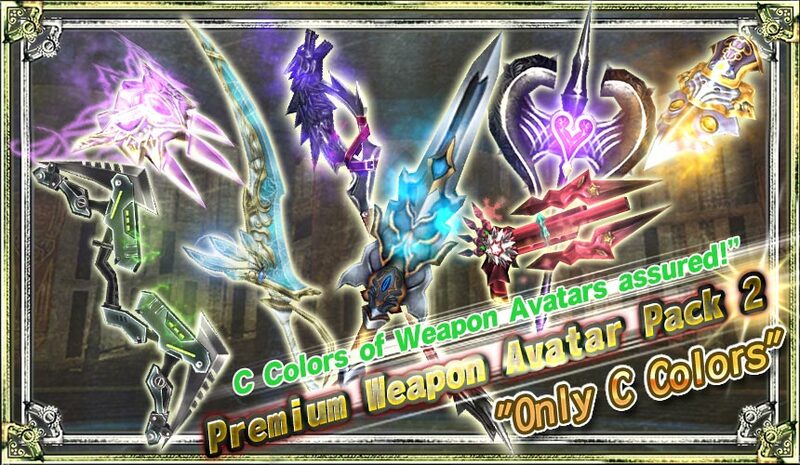 4 Gems per "Spin x1"
40 Gems per "Spin x10"
[20%OFF] Set of pair Wings won, limited to the C Color! "Soaring Pair Wings C Color" on sale!Wings are yours! Win same type of left and right wings limited to C Color in "Soaring Pair Wings C Color"! 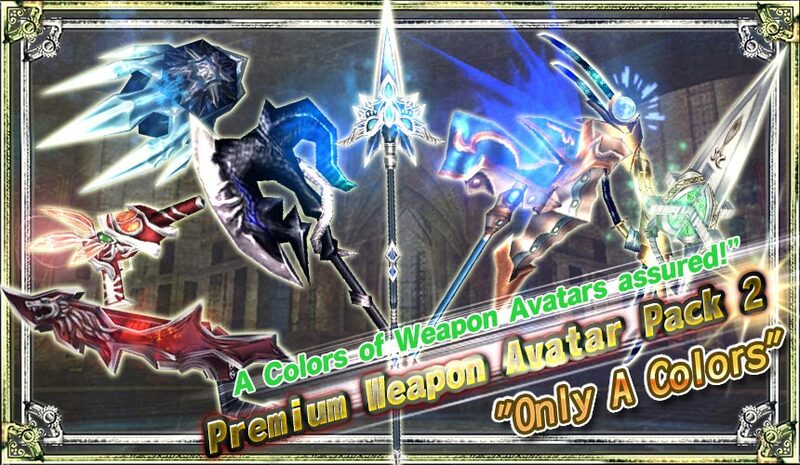 *Please note that the Avatar preview function is not available in this Pack. 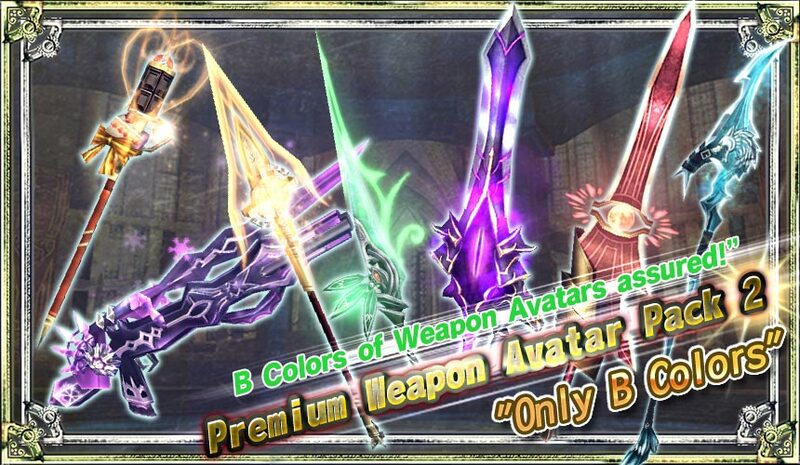 "Original Colors""A Colors""B Colors""C Colors"Weapon Avatars 2nd are now available!